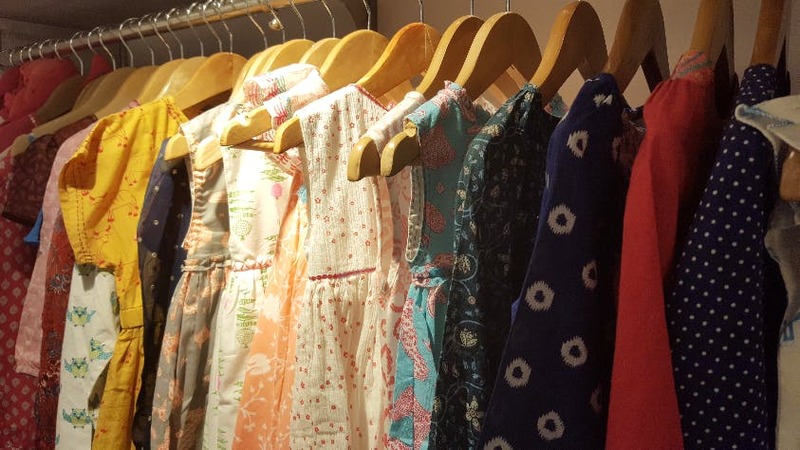 Almirah, a Delhi favourite, recently opened a store in Bandra, and it's got the most adorable kids' stuff you've ever seen. They have children's clothes, dohars, bags and stuffed toys in soft cotton and mul. What sets them apart are the adorable prints and fun little embroidered designs that are too cute to miss. You'll love their baby blue kurta with a little cycle embroidered on it, or the shirts printed with Ambassador cars and Vespas all over, or the soft baby rompers with parrots, or the dress with little pink elephants. We could go on and on, but you get the picture. They have some really cute teddy bears wearing Almirah clothes, and stuffed elephants in happy colours, that make the perfect gift for your little nieces and nephews. Almirah also has Indian festive wear for the kids that is gorgeous, yet soft and comfy for the kids. This, as all mommies know, is a hard combination to find.